Chand Earrings are the new pops of the ethnic town. They are making their ways all the while from 18+ groups to newly wedded brides. They present a unique and edgy look. They are huge and fall till necklines with concealed hooks on the back. Worn with a striking ethnic apparel makes one stop and take notice. If it’s your bestie’s wedding, the pressure is on! After all, dulhan ki special friend always attracts the most eyes. We’ve got 5 gorgeous chand earrings styles for BFF’s wedding, you’ll totally rock the shaadi! From dress color to type and which earring to match, here are your options. Wear it with the heavy saree when you feel putting a necklace would make you look like a Christmas tree. This will give you the total wedding look without over doing anything. Learn it from the legend Sri Devi.. It is perfect for closed necklines or anarkali suits. It instantly brings out the wedding glow on your face and is the most elegant look the bride’s sister or best friend can for. Our B-Town queen wore it like a boss, it is your turn now. 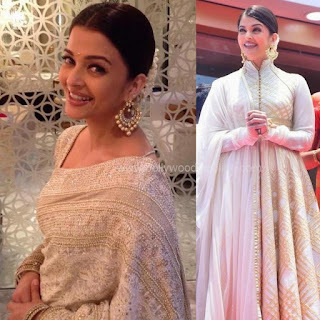 If you have those pesky sensitive earlobes who just can’t put up with the above then don’t worry our Queen also brought the light chaand earrings to trend. They are big but weights like feather. Weaved from threads into half moon, to give the look you need for without going through all that pain. It can be wore into functions like haldi and mehandi when you want to avoid any kind of messes and just want to rock the event. Our very own MISS WORLD and ageless Beauty Aishwarya thinks so. 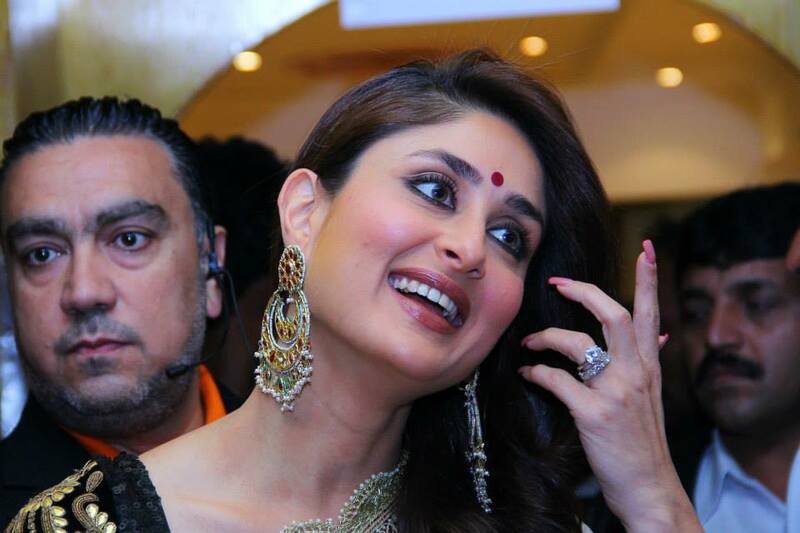 She mesmerized the world first with her charming smile then those absolutely lovely pearl drooling earrings. They go with any sort of color and outfit you choose. Good thing is they are totally affordable. Still thinking why pearls are forever? Your plain outfit needs that extra doze of glitter. These colored drop earrings are the right choice. You won’t have to invest much in those heavy outfits if you invest a little in these. Not much of a hard decision here. If you are already out looking for an imitation earrings wholesale manufacturer then you should check out Vogue Crafts and designs website. They also provide with the facility of custom designed earrings.